""" keywords'/> "" " My Dream is to be An Actor But How to Start My Career? 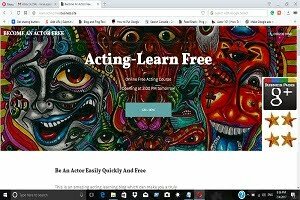 | Best Actor Academy-The Monster Of Free Acting Tips ""
My Dream is to be An Actor But How to Start My Career? I'm beautiful! I'm a handsome hunk! How can I start my Bollywood journey? 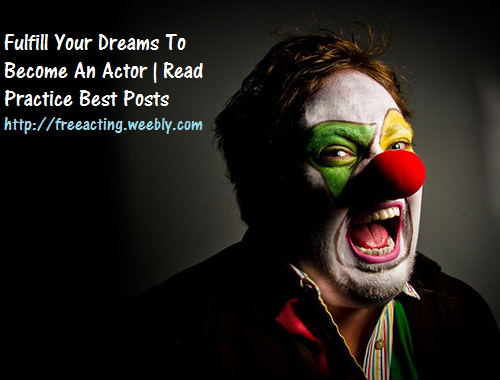 Do you really want to be an actor? Getting started as an actor isn't that hard. It is one of the few jobs where you can actually just declare yourself an actor, even before you get your first audition or job. People do it all the time.Sometimes, simply mimicking people of different attitudes you see around can make you an actor. Then, even you are shifting to Mumbai, you can join and participate in local town theater groups, in community cultural program plays or by creating your friend's group, performing in the various shows or in street shows. 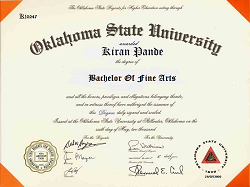 But, becoming successful as an actor in Bollywood or T.V. serials and in commercials is on Beginner guidee of the hardest things you can attempt, with absolutely no guarantee of any kind. This business is the most unstable and volatile in the world - the best actor doesn't always get the part, and there is so much is beyond your control that you have to be willing to be rejected on a daily basis. The technical aspects of acting. If you don't develop expertise in skills in all three areas, your chances for success rapidly disappear. 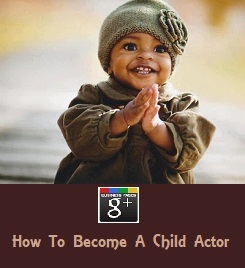 The first part of my answer is to become an expert at the art of acting: get the best training. As a beginner or if a working actor and want to improve the above 3 areas, do it if you love being in school, but if you want to get moving, don't waste your precious time of from months to years at any schools. These institutions are good once you have learned initial acting training and want to develop your networking and want to practice in a group. Otherwise, if you are a beginner you may get depressed and develop complexes observing other well-performing experienced students. Live life. Get your heart broken. Enjoy successes and failures. Suffer from rejection. Be elated when you win. Live...life. You'll need it as an actor. Once you complete training, you go for projects that will give you experience: student films, teasers (trailers), short films, art films, theater, web series, small commercials ads and more. 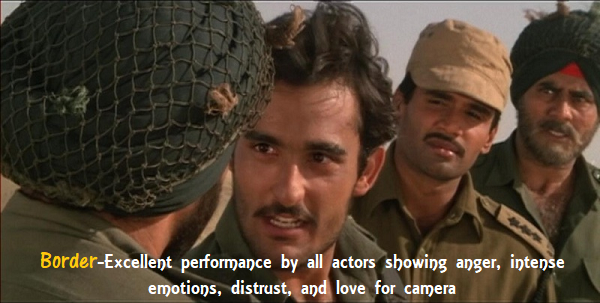 Each of these will give you experience in the art of acting. But that's just the first part. There're two more parts you need to get started. The second part of my answer is that you must become an expert at the marketing and promotion of acting: as an actor, you are a product among thousands and therefore and if you want film industry should know and use you, you have to market and promote yourself. And if you don't have business training, find the right acting coach who can help you create the business structure you need. Any actor you admire, that is well known and successful, is not only a good actor but also a good businessperson, without exception. They treat their careers the way a lawyer or doctor nurtures their practice. They have a brand, a product (their ability to tell stories), customers (casting directors, directors, producers etc) and they know how to get their customers' orders. They know how to market themselves (get auditions), they know how to sell themselves (audition techniques), and they know how to collect their money and hire salespeople (artist coordinators and agents) to bring them more business. All of this will give you experience in the marketing and promotion of acting. But that's still not all you need. There's one more area to explore to get started. The third part of my answer is that you must master the science and technical part of acting: become expert in the technology you need to understand and use in the pursuit of your acting career. 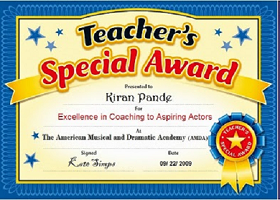 This mastery of the science and technology includes creating the perfect profile for audition and websites and grooming those profiles as you gain more work and experience. It includes mastering communications using the Internet, Email, Social Media like Facebook, Twitter, LinkedIn, Instagram and more. The technical part means understanding how cameras, lights, microphones, makeup, costumes, your voice, your face, your actions, your movements, blocking, props and all other components combine to tell a story on film or video. 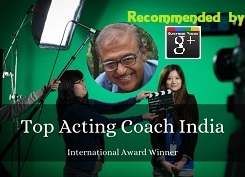 It means, to help you to deliver the best performance you can by knowing your lines and being completely convincing. This acting business in Bollywood and TV world has changed drastically toward a less conservative to an almost completely digital world, and you need to be not only aware of those changes, but know how and when to take advantage of new technology and processes. All of this will give you experience in the science and technicalities of acting. As an actor, you have to love it. You have to want it. You have to be willing to put a lot of work into it, and to remember, you may be rejected because you're too old, or too young, or too tall, or too short, or too plain, or too hot, or too creepy or...the list never ends. To hell with it! Move on. If you can't do that, you're in trouble before you begin. If you love being a storyteller, and can handle it when you find out you didn't get the part because of XYZ, you're in much better shape. I do hope this helps. And I hope you do get started. And I hope that you love your life as an actor as much as I love mine as a character actor and as an acting coach. and as a character actor. If you need help, get in touch. I will try for your chances of being a successful actor with a name and fame. Hi sir. If possible.. Pl suggest me photographers for my first time acting portfolio.